He's the hero Gotham deserves, and now he's a PVC statue in the DC Movie Gallery line! 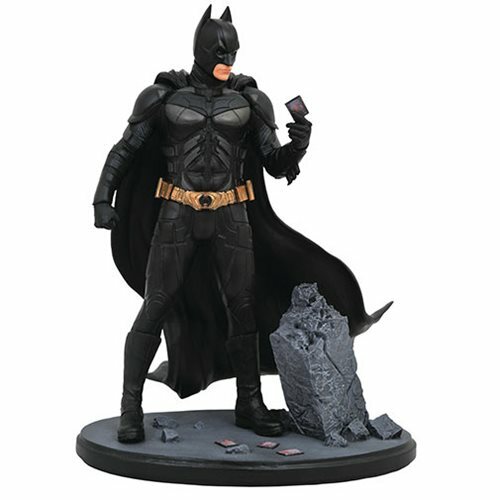 Based on Christopher Nolan's movie The Dark Knight, this statue of Batman shows him examining a playing card amid the rubble of one of the Joker's escapades. Measuring approximately 9-inches tall, this movie-accurate diorama comes packaged in a full-color window box.